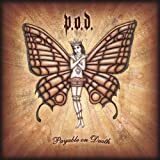 Am I Right - Onomatopoeia in Lyrics, P.O.D. Real Lyrics -> Onomatopoeia in Lyrics -> P.O.D. "Boom" is the sound of an explosion.